JNC Chauffeurs are the South West’s leading supplier of luxury transport. 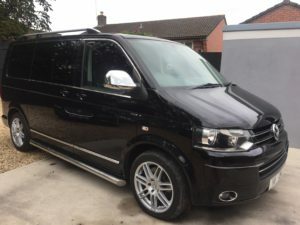 We are experienced in providing an executive service to a range of corporate, private and celebrity clientele and therefore understand the unique requirements that film and TV production companies have when searching for a professional chauffeur service for their cast and crew. We will ensure that your cast and crew not only arrive where they need to be, when they need to be, but that they arrive in comfort and style, ready to face whatever awaits them at their destination. It is of the utmost importance to us to provide a reliable and flexible service to our clients. We do not simply view our role as to provide transport for your cast and crew members to and from their set locations. Instead, we seek to work with the production companies and individuals involved to find the ideal vehicle, timings with a degree of flexibility where possible and for the length of time required, whilst also providing a luxury executive service. Our fleet of 16 vehicles comprises cars such as Mercedes and Jaguar with a range of seating options, up to a total of 16 passengers. Each one of our vehicles is Wi-Fi enabled, provides multiple charging ports and contains chilled bottled water so that cast and crew having everything they would possibly need at their fingertips. We can also arrange to provide other refreshments and facilities at your request. Our experience has taught us that the long working hours on sets means that all involved deserve to feel relaxed and carefree before and after work and booking your transport with JNC Chauffeurs means that you can take away any unnecessary transportation stress. Our team of professional and experienced chauffeurs are all friendly, reliable and above all discreet. We understand the complexities of working with production companies and the need for discretion and consideration. When you book with JNC Chauffeurs you are guaranteed to receive a professional service that will not only be dependable and consistent, but also understanding of the need for discretion. Whether you’re looking for a day service, period of weeks or even months, JNC Chauffeurs will strive to meet the needs of your company to provide the best luxury chauffeur driven service for your cast and crew. Contact JNC Chauffeurs today to discuss your company’s needs and to arrange your luxury chauffeur-driven service at a competitive price.